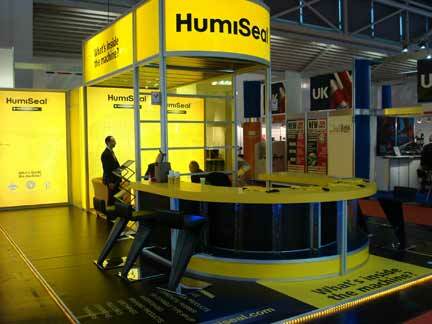 Productronica 2011 represented the launch of HumiSeal´s global initiative, which will subsequently be rolled out across the world in 2012 & beyond. The campaign theme is called What’s inside the machine? 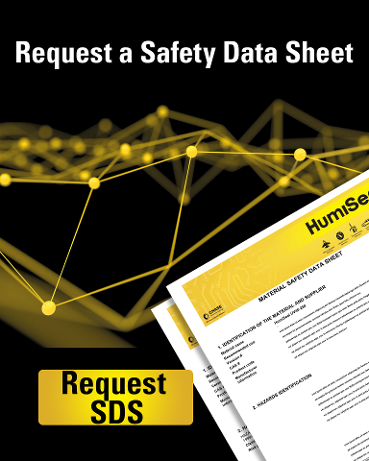 HumiSeal recognises that today´s electronic products are increasingly being subjected to hostile operating environments as the global demand for miniaturisation and functionality continue to drive evermore complex and smaller devices. We see electronics in everyday items from laptops, phones our cars and so on. Keeping this equipment working in the field is crucial to protect the reputation of the (end product’s) brand as well as costly field repairs. Reliability is king as end users demand more from technology, the onus is on OEMs and manufacturers to deliver affordable, reliable technology. 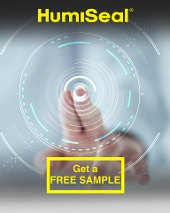 That is why more and more OEMs turn to HumiSeal to protect their products and improve reliability – they’re growing at 25-30% per year..
HumiSeal are looking to change the common perception of what a conformal coating is (a colourless liquid applied to circuits) and focus more on what it does (deliver exceptional protection against many atmospheric & environmental operating conditions as well as technical challenges such as tin whiskers and dendrites). The idea being that as end users demand more and more reliability they will make the association with conformal coatings and begin to demand devices that are protected in this way. This is good for the OEM, good for the end user and good for HumiSeal. …HumiSeal is inside the machine reducing field failures and improving reliability around the world. This entry was posted in News on November 21, 2011 by FingerLakes1.com, Inc.